In contrast, PAL and PAL Express’ new seat sale, dubbed “Book now, fly now,” lets passengers travel as soon as two weeks after buying their promo tickets.The promo covers all nine PAL domestic routes as well as eight of PAL Express’ most popular domestic jet routes. For PAL Express flights from Manila, there are only two promo base-fare categories: P698 to the Visayan cities of Dumaguete, Kalibo, Roxas and Tacloban, plus the Bicol hub of Legazpi; and P1,098 to the Mindanao points of Butuan, Cotabato and Dipolog. Both fares are for one-way, economy-class travel. All promo fares are available for sale for a limited period – April 8 and 9, 2013 only. But the tickets issued can already be used as early as April 28 up to May 15, 2013. These fares do not include fuel surcharge, service charge and terminal fees. They are also non-refundable. The promo tickets cannot be rebooked. Despite the budget fares, passengers on PAL and PAL Express can expect full service onboard that makes them feel “at home,” as both the airlines’ new tagline put it. These include complimentary snacks, drinks, periodicals and other amenities. They also enjoy generous free baggage allowances: 15 kilograms for economy class and 30 kilograms for business class on PAL; and 10 kilograms on PAL Express. On top of this, both carriers allow 7 kilograms for hand-carried luggage. PAL accepts cash payments at select Petron gasoline stations, specifically at Bel Air, Makati Ave.; Bluewave EDSA-Macapagal Ave., Pasay City; Sucat, Paranaque City; Filinvest in Alabang, Muntinlupa City; Wack Wack and Connecticut, Greenhills, San Juan City; Sierra Madre St., Mandaluyong City; and at Diego Silang, along C-5 Road, Taguig City. Customers can also pay for their promo tickets at over 766 convenience stores of the 7-Eleven retail chain nationwide and select Petron Stations. This mode of payment is applicable only to passengers who book online. Those who book via the reservations numbers should proceed to ticket offices. This promo is way better than other Philippine carriers... its better for Airphil to rebrand for me.. PAL Express has a better brand recall but works still with budget conscious travelers. I traveled alone: Ormoc Leyte-Cebu-Davao, with my infant 6 days ago. We had this turbo prop type of plane, sabi ko.. naku patay! I know the experience would be terrible for my 10 month old kid. She was a behave baby but for this one, every trick I’ve known didn’t work for her. She was crying around 90% of the total flying time. She vomited but I understood. Anyway to make this short I rebooked our flight such that the plane would be A320 and the flight is 9:05 AM, They have it during Mon-Wed and fri only. sakto lng pagdating ko ng CEBU I could catch up for Supercat trip to ormoc. I didn't even ask my husband to fetch us sa Cebu since it will be a straight trip.I felt confident na. We were at the DAVAO Intl airport and they just told me our flight was delayed, exactly 2 hours and 45 minutes, from 9:05 AM to 11:50 AM. I WAS SO PISSED!, there were no advisory! I should have brought my baby a lot of extra cereal to eat. I should have left home 2.5 hours before the flight so that my energy won’t be drained. Now I need to wait at 4:00 PM for Supercat and this means I'll be home at around 8:00 PM na. What a waste of time! Every minute counts for me. Their reason: operational requirement. No weather issues at that time, and taas pa ng sikat ng araw. What I did? I made a scene for the first time in my life. They cant just delay the ETD without even informing their passengers.Their supervisor sa may check in counter (Mr Bisnar) cannot even contact their Manager for a talk. I asked him for any options, he couldn’t give any and ako pa and nagpumilit na he need to make any action for my case. He referred me to withdraw my tix and book the Cebu Pac flight at 10 AM worth 3K and I need to add 1K- because of them I need to shell out 1 K again? Stupid! They have added an extra flight for OZAMIS. See? very unprofessional! Did they even think about the schedule of their passengers? any meals they have served- Well there's a biscuit for everyone piece! and a drink: water, coffee whatever. 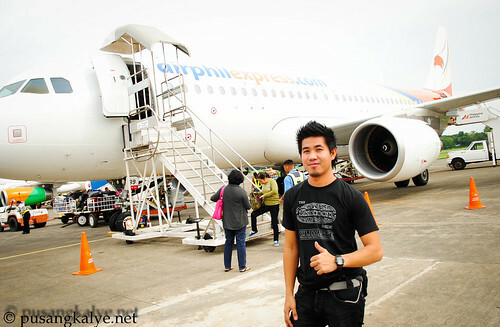 I think they should change their name and Tagline: from PAL express: your home in the sky”. to “PALpak Express: PALa Delay kmi, sasakay pa kayo?